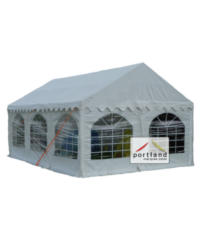 4m x 6m Marquees and Party Tents are very useful and flexible, they are an excellent size to use on their own as a standalone marquee or party tent. 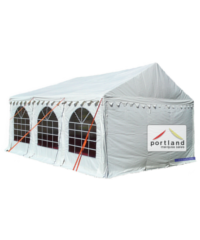 Alternatively they can be used to gain a room by attaching to a house or connected to another marquee to cover larger areas. 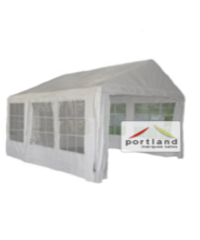 Note in the marquee industry the width is always stated first so these marquees have a 4m wide A-frame and a 6m long ridge. We also have 6m x 4m marquees that cover the same area but have 6m wide A-frames and 4m long ridges.